Specializing in weddings, Stefan’s goal is to work with you on creating a one-of-a-kind, romantic and fun wedding reception. Acting as a true Master of Ceremonies, Stefan promises to deliver an experience that you and your guests would have never thought possible. We help exceptional couples create lasting memories of their wedding day! 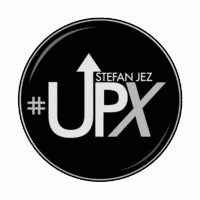 At Uptown Xpress, Stefan takes the time to get to know you and what you want your wedding to be like. What makes your wedding party special? What is your Love Story? How can we incorporate what is unique about you into your wedding? Stefan Jez guarantees a tailored,well directed, made-to-measure experience that you, your family and your guests will remember for a lifetime! If you are looking for an MC and DJ to create memorable, fun, romantic moments at your wedding; If you are willing to put in a little bit of work with Stefan, we can create something truly unique together! Our goal is to have your guests saying your wedding is the best wedding they have ever been to – before the dancing even starts! 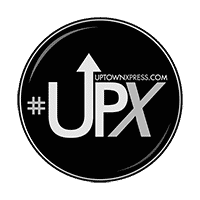 If you are looking for a DJ to “just play music” and “make a few announcements” at your wedding, then Uptown Xpress will not be a good fit for you. In order to maintain our unique level of service, Stefan only takes on a limited number of wedding couples each year. If you want your wedding reception to be something different, to have your guests be fully engaged, having fun, on the dance floor and entertained, email, call or text Stefan today at 514-297-3508.